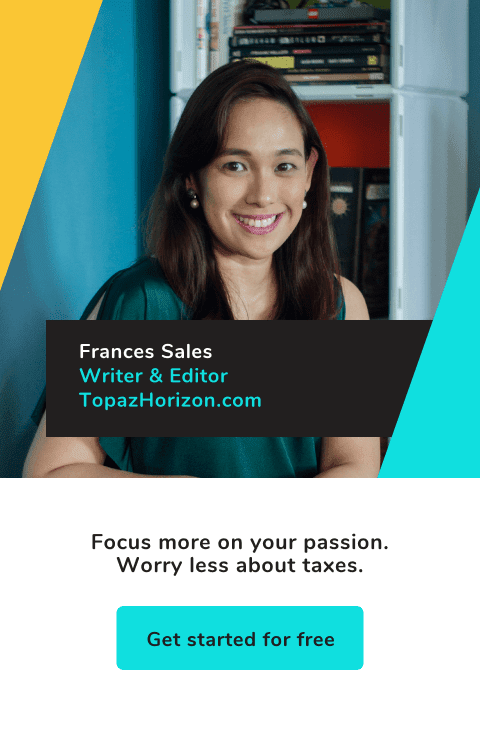 Appebon Kid partnered with Topaz Horizon for Nutrition Month, which was July, if you didn't know. I didn't know but now I do! 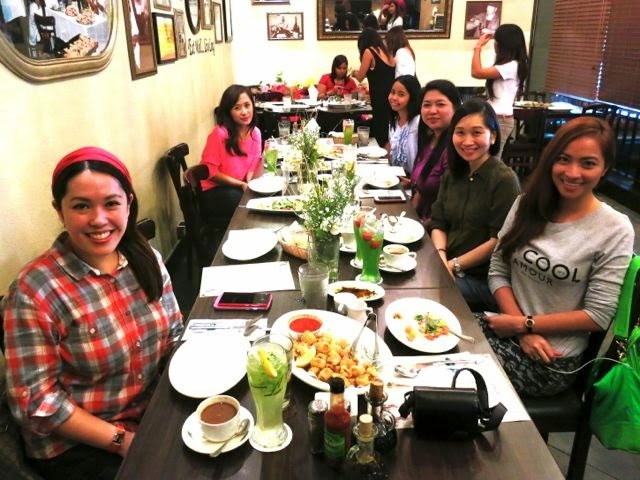 At a special brunch at Italianni's Bonifacio High Street, Appebon Kid invited pediatrician Dr. Florianne Feliza-Valdez to talk to mom bloggers about the importance of good nutrition for our kids. Once our kids turn a year old, milk should stop being his only source of nutrition. This isn't a real problem since we give our kids solid food (hopefully meat, fruits and veggies and not junk food!) at 6 months old. But some kids are given so much milk, they don't eat real food anymore! Formula milk can be considered junk food if it takes up the majority of what our kids eat. Formula milk has lots of sugar, which attracts bacteria. Other junk food culprit is instant noodles. Some families think it's okay to give their kids lots of instant noodles because it seems like real food. It's actually just carbs and salt. There are two types of malnutrition: undernourished (child is not getting enough nutrients) and overnourished (a.k.a. chubby kids). Ask your pediatrician for a nutritional assessment if you're worried about your child (too skinny, too fat, too short, etc.). Every child is different and growth is affected by non-nutritional factors like genetics (short mommy and daddy will most likely have short children, for example). Appebon Kid is a daily nutritional supplement that can help parents meet their children's nutritional needs. Packed with Vitamins B1, B6 and B12, Iron and Lysine, it's in a yummy strawberry flavor that even picky eaters from 2-12 years old will like. Let's face it: It's hard to make kids, especially toddlers and picky eaters, to eat anything! In my house, for example, it's a battle just to get food into my kids' tummies! Vito eats a lot in the morning and at lunch, but as the day ends, he eats almost nothing and is happy to go to bed with just a glass of milk filling his tummy. I'm not so worried about him because he eats a lot during the day, especially from 7am to 1pm, like he is constantly munching. Iñigo, on the other hand, eats only if he feels like it. Most of the time, what he feels like eating is made of sugar and carbs! Guilty mommy here! So we give the kids vitamins to ensure they're not undernourished. Still, I would love it if they, especially Iñigo, would eat good food at meal times regularly. Anyway, Appebon Kid's Nutrition Month Campaign is called "Batang Ganado, Batang Can-do!" 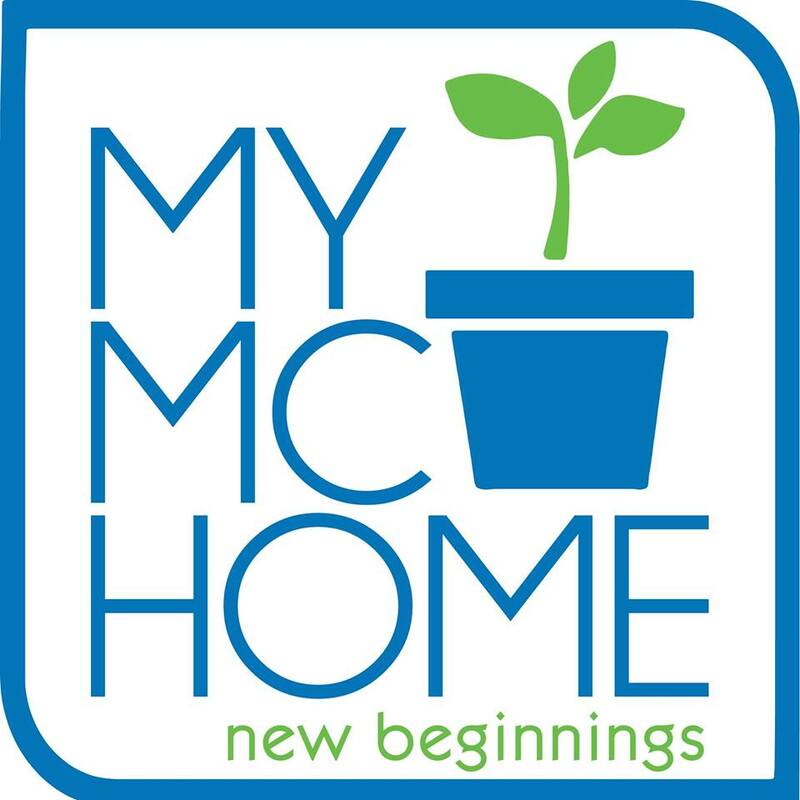 They hope that by nourishing our children's appetite for healthy food, our kids will also have the passion and energy to have an appetite for life. 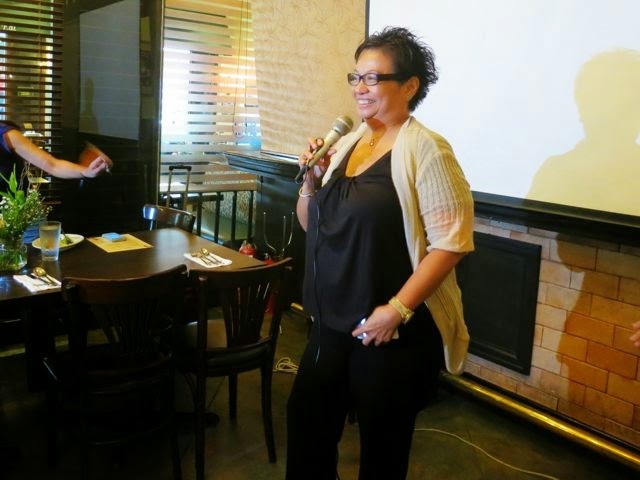 Moms at the lunch were asked what their kids are passionate about. 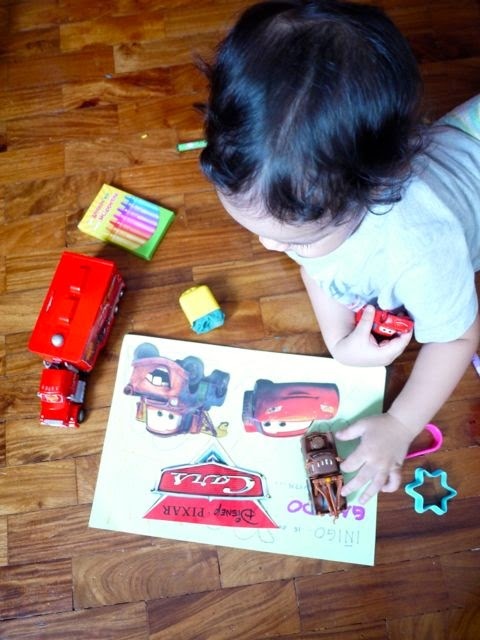 Iñigo is passionate about Disney Pixar Cars! 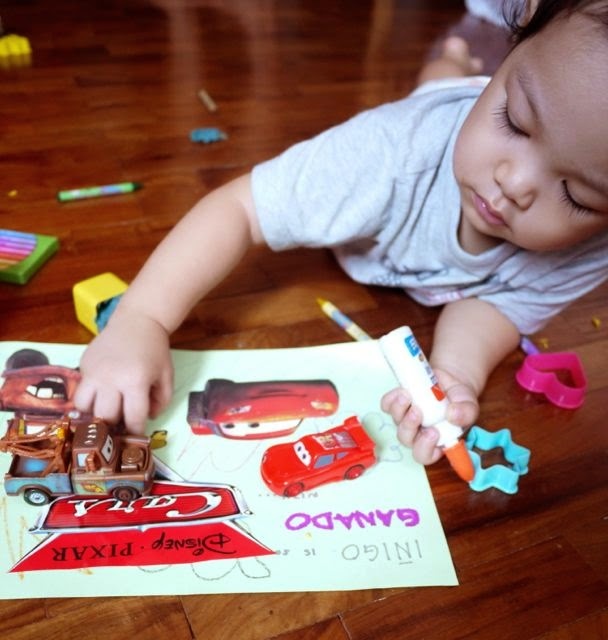 Iñigo really loves Cars! 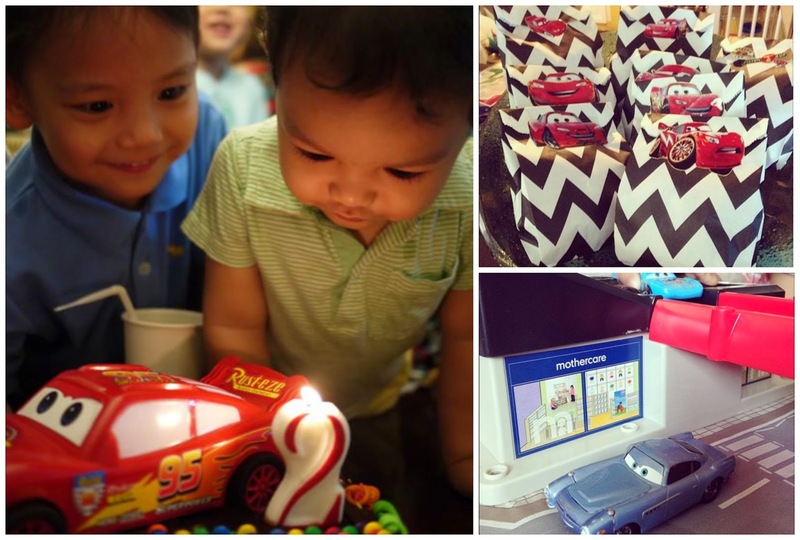 I hope he starts loving good, real and healthy food the same way he loves Lightning McQueen and Mater and Mack and Finn! 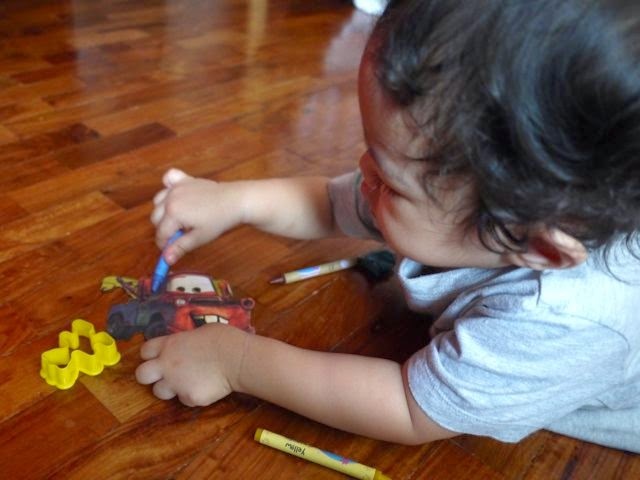 With Appebon Kid as my partner in nutrition, I'm looking forward to Iñigo's healthier appetite soonest! 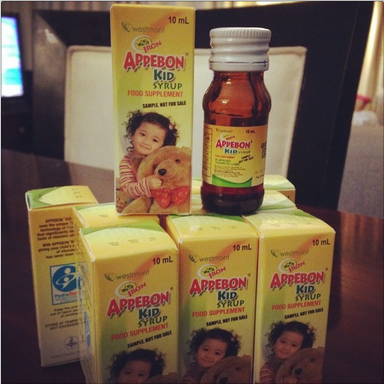 Appebon Kid (60ml bottle for Php 95.00, 250ml bottle for 120ml bottle) is made by Unilab and is available as an over-the-counter appetite enhancer at leading drug stores nationwide. While you don't need a prescription to purchase, always consult with your children's pediatrician before giving them vitamin supplements.